THE BEDDING WILL NEVER BE A CHORE ANYMORE! 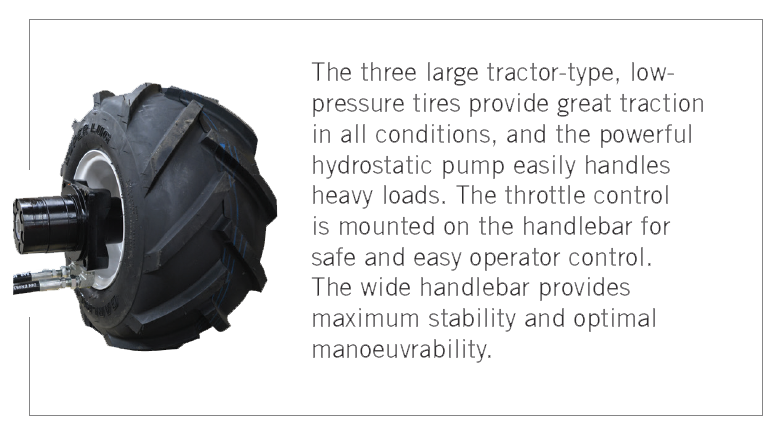 The 48’’ Ø (122 cm) tub means fewer trips to the filling station since it can handle up to 4 small bales or large chunks of big bales. 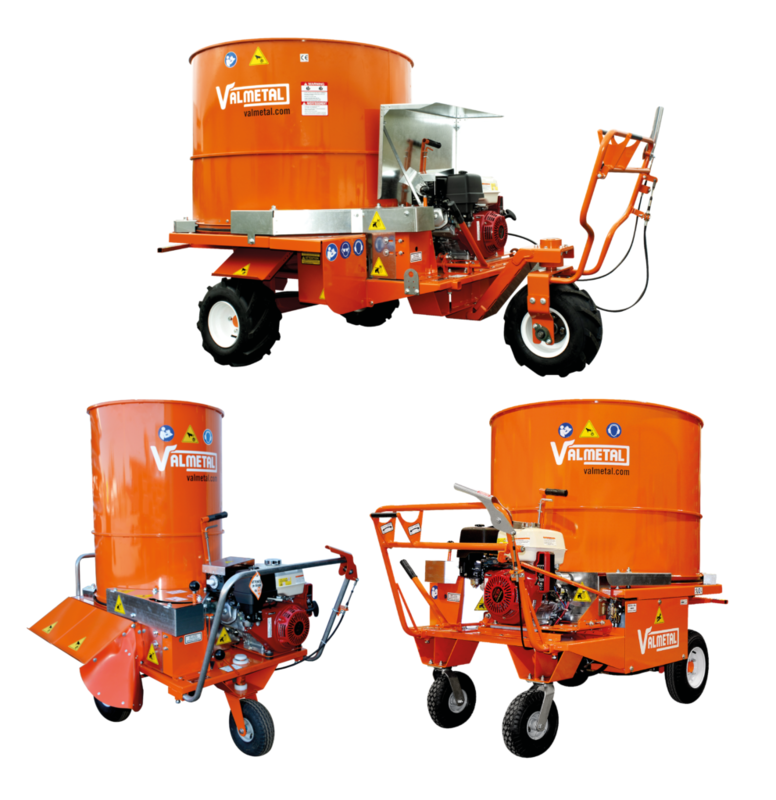 The tub is equipped with a long-lasting UHMW bottom seal to keep dust and material contained. The powered drive wheels makes running the unit effortless. The operator has full control of the speed as he walks behind the machine. 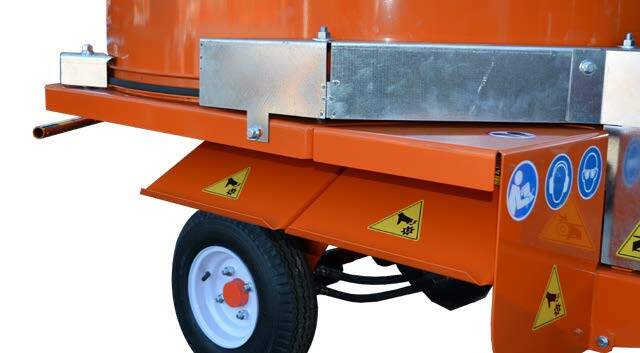 Two adjustable flaps located at the exit of the chopper direct the bedding at the desired distance, up to 17’ (5 m) from the machine. 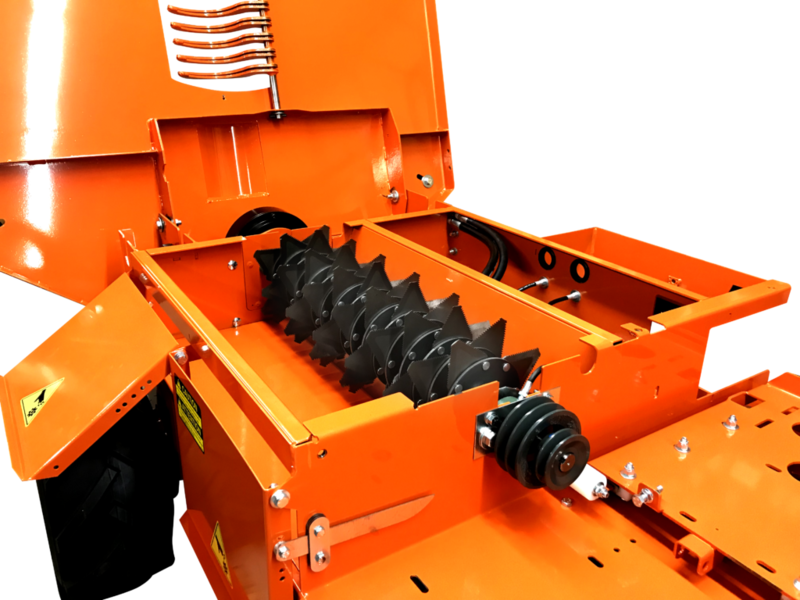 The spiral design of the knife rotor shaft delivers smooth operation and a steady flow of bedding with less horsepower. 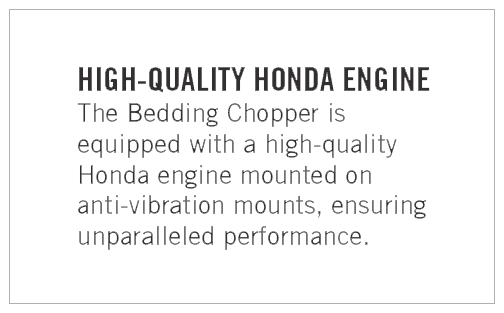 The 68 knife rotor produces a clean and precise chop, while the reversible mounting keeps maintenance costs low. The knives are pre-assembled in sets of four on smooth spacer discs, making replacement or reversing quick and easy. 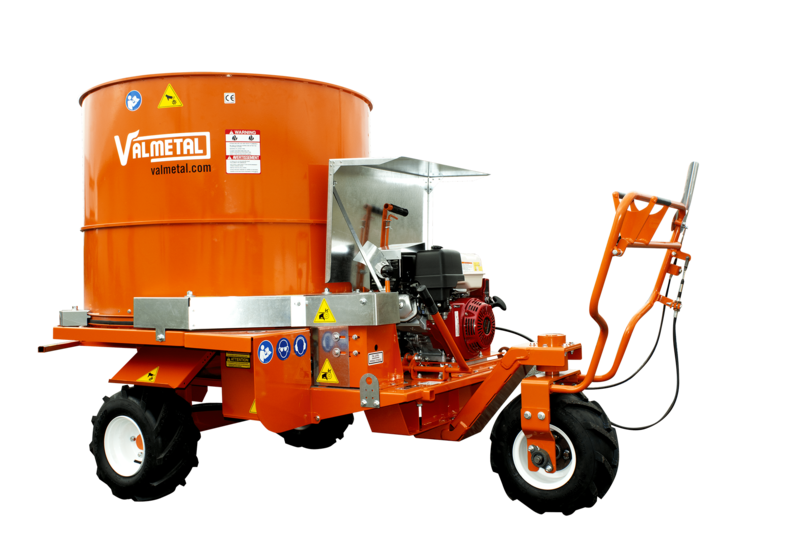 The Valmetal Flotrac possesses all the same characteristics of the regular self-propelled Bedding Chopper but this model is equipped with special floatation wheels. 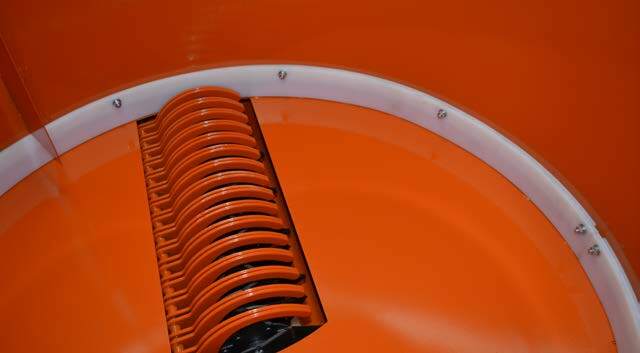 Flotrac was originally developed specifically for poultry barns (turkeys, ducks, chickens, …) but its great manoeuvrability makes it the perfect choice even for beef lots and dairy cow pens.